Jake’s Take would like to welcome back fitness entrepreneur Mike Rosa back to the blog! Mike owns the rising Anabolic Aliens fitness brand. Through Anabolic Aliens, Mike has built a community of over 500,000 people by offering them personal training programs that include custom workouts with meal plans and one-on-one coaching through Skype. In addition, he also created various fitness programs that they could use either “At Home” or at the gym. In this edition of Catching Up, Mike opened up about the Anabolic Aliens’ business growth, introduced his new “Exerprise” app, and revealed which fitness influencers he would like to collaborate in the future. 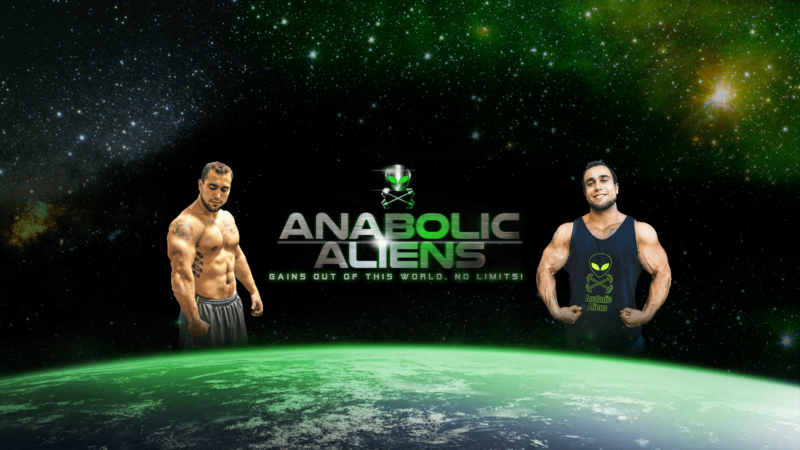 Jacob Elyachar: How has the Anabolic Aliens brand grown since the last time we spoke? 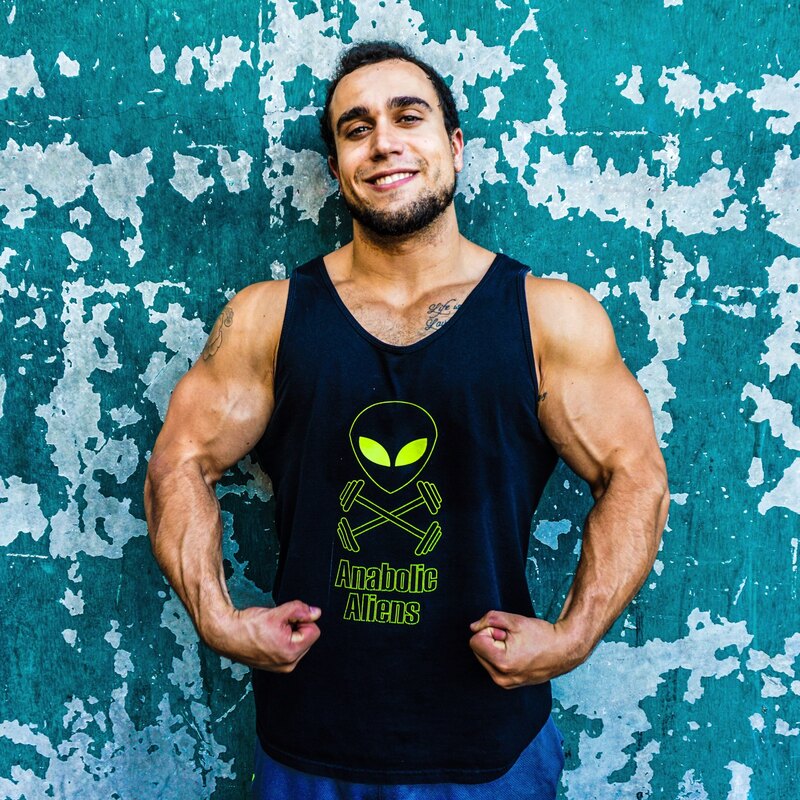 Mike Rosa: The Anabolic Aliens brand has grown significantly since the last time we spoke. My YouTube channel is now over 375,000 subscribers averaging over 2.4 million monthly views as well as gaining 600 to 1,000 new subscribers a day! The Anabolic Aliens Instagram is now over 20,000 followers with a solid engagement rate of over 1,000 likes per post. Brand deals are starting to be more consistent on that platform as well which is very new since the last time we talked where before brand deals were mainly just on YouTube. My Facebook and Twitter channels are seeing more and more growth as well. As my following keeps increasing, my website traffic and sales have increased dramatically along with multiple new partners. My current partners are Vitamin1, Yorks, Hearthstone Native, Herbstrong, and Dissident Gym Wear. All this being said, I’d say my most significant endeavor with Anabolic Aliens has been the creation of my workout app Exerprise. The app already has around 15K active users and was ranked the number one new health and fitness app in the Google Play Store. There are a lot of developments going on with Anabolic Aliens, and I am very excited to see where the brand takes off to in this upcoming year. Jacob Elyachar: What have been some of the challenges that you faced as Anabolic Aliens grew as a business? How did you overcome those obstacles? Mike Rosa: Marketing and exposure are always one of the most significant challenges. You can have the best content or products in the world, and no one is going to see them without proper exposure. At the beginning of a business too, most often funds are limited. The way I overcome these obstacles is first off budgeting a marketing strategy in the most optimal way possible whether it be ads, influencers, SEO, niche specialists or whatever means that produce the most significant ROI. Outside of the money aspect though, I make an effort to engage with my audience as much as I can and connect with them more on a personal level which not only helps me create more content, but establishes more trust which I have found increases recommendations, shares, and basically word of mouth. I also am always researching how to optimize my content as well as reaching out to partners and other influencers where we can mutually help each other grow. Jacob Elyachar: You have created some superb At Home and Gym fitness programs for your clients. How long does it take you to create a fitness plan? Mike Rosa: Thank you! It varies depending on the specific program. My customized programming I do on my website takes a lot more time than the programs I create for the general public. When I do custom programming, I don’t use templates. I build plans from scratch explicitly tailored to the individual based on their goals and individual needs. This process takes me around 3-4 hours to create for the most part after I receive the information I need from them. Regarding the programs I make for the general public, I can create these plans on average within an hour or two. The part that takes longest with those plans is more so making them aesthetically pleasing and set up easy to follow for my website. Program making I’d say is one of my specialties. Jacob Elyachar: In addition to some fitness programs, you also created the “Exerprise App.” Could you please describe the app to my readers? Mike Rosa: My Exerprise app is a workout generator that uses advanced filtering technology to create you an effective workout no matter what your time or equipment availability is. You select what muscle groups you want to work out, the equipment you want to use, your choice of time intervals or sets/reps, how long you want to work out for, then hit generate my workout and boom, there it is! Also, you have the option not to make any of these selections and have your workout be utterly randomized by hitting generate my workout from the get-go. The way the app creates the workout is it chooses exercises from the database of over 500 exercises based on your customized selections. This is a randomization process, but if you want to make changes, you have the option to change the order further, change the number of sets, reps, or rest, and more. Then once you are happy with your workout for the day, you hit play and start it up. The workout screen has a video of the exercise playing on a loop for you to optimize your form as well as an image at the bottom displayed to show you what the next exercise is. After you complete your workout, you can save it. There are many more features already in the works, and I am very motivated as well as confident to make Exerprise the best workout app for all types of exercise enthusiasts! Jacob Elyachar: Recently, you have recorded collaborations with fellow fitness influencers Absolute Savage and Scott Herman. Who else would you like to collaborate with in the future? Mike Rosa: I love collaborating with like-minded people in the industry. I’m always open to meeting more influencers who are passionate about what they do and have fun with it. Some specific influencers I’d love to collaborate with in the future are Christian Guzman, Rob Lipsett, Jeff Cavaliere of Athlean X, Larry Wheels, and Amanda Bucci. Jacob Elyachar: What can my readers expect from Anabolic Aliens in the future? Mike Rosa: You can 100% expect more weekly YouTube videos, new Exerprise app features, daily posts on my other media outlets, as well as new programs, apparel, and more website development. There are a lot of endeavors I want to explore with different styles of content like doing more vlogs and comedy skits, but my main content will never change and always be my staple. I’m also looking into setting up Live Streaming for Q & A’s and live workouts. A lot more will be coming into action as things keep advancing. As I always say, no limits! For more information about the Anabolic Aliens brand, visit their website! You can also connect with Mike on social media! Visit their Facebook, Instagram, Twitter, & YouTube channels.